32-page guide for older adults who are adjusting to living to a pension… or who are just money-saving scrimpers! 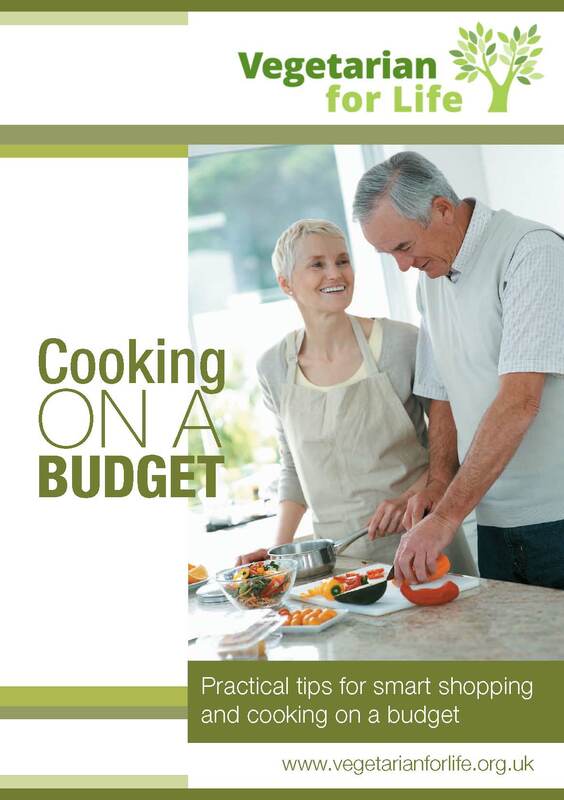 Packed with practical tips for smart shopping and cooking on a budget. Explains how to make real savings by planning, savvy shopping and cooking, and sensible storage. Recipes throughout. You may be reading this guide because you or someone you care for is adjusting to living on a pension. Or perhaps you’re already a dedicated money-saving scrimper. We appreciate that people reading this will be in different circumstances, and that some sections may not apply to you. Please dip in and out of each section as you see fit. Whatever your reason for reading the guide, you can still have fun while saving money. We realised that many people are struggling in today’s economic climate, particularly older people, and thought a few helpful tips and recipes would be a useful resource. The booklet is aimed at older vegetarians and vegans but will be helpful to anyone wanting to save money at the same time as enjoying their food.